Shark Defenders recently caught up with Anna Oposa, Chief Mermaid and co-founder of Save Philippine Seas and a passionate marine advocate. At just 24, she’s the youngest and only Filipino recipient of the €50,000 Future for Nature award, has represented her country at the British Council’s Global Changemakers Asian Youth Summit, was a delegate for the Philippines at the 2010 UNFCC conference, and a part of the Global Shaper Community at the 2012 World Economic Forum. Nowadays, Anna can be found working to protect sharks back home. The Philippines are a very important vote this year at CITES, so we asked her to talk a bit about the importance of marine conservation there, her work, and her perspective on how young people can help bring about much needed change. 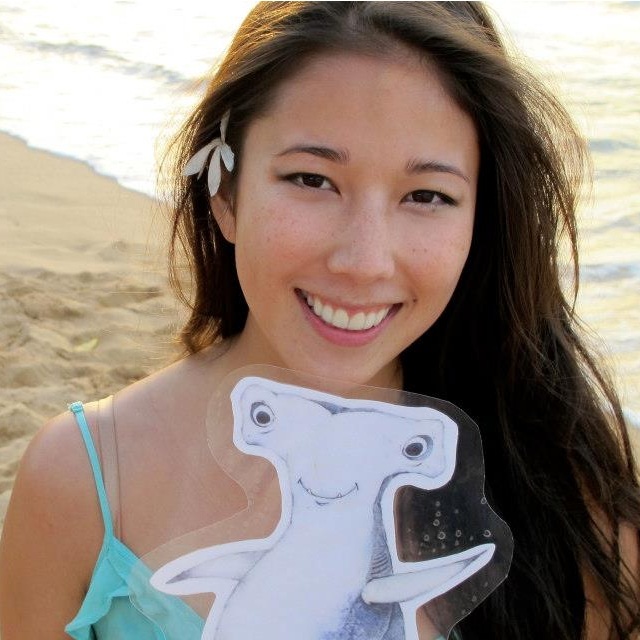 Leah: What inspired you to become involved in shark conservation? Anna: I've always been fascinated with sharks. My two brothers and my dad became scuba divers before me, and they always shared stories about seeing sharks underwater and how they were nothing like the Jaws-like image most people had. In 2010, I was a junior facilitator in a program called the Denso Youth For Earth Action held in Vietnam and Japan and one of the participants from Thailand, Bell, had a great passion for sharks. Her energy was infectious. The more I learned, the more interested I got. It's one of the more challenging fields in marine conservation, which keeps me on my toes. I believe that it's a good fit for my strengths as an advocate. Leah: Can you tell us a bit about what the Philippine seas are like, their importance and some of the main threats that sharks and marine life are facing there? Leah: We’ve read all about your amazing initiatives and last year’s Future for Nature award. Can you tell us about what you plan to do with the award, your Thresher Shark Shelter project and your top down, bottom up approach? Anna: I'm using the financial resources from Future for Nature to enhance the protection of Monad Shoal, a seamount east of Malapascua Island where thresher sharks are seen on a regular basis due to their unique relationship with cleaner wrasse. The top-down, bottom-up approach means involving the national and local government in policy-making and law compliance and enforcement, and the communities and key stakeholders in the island to make the efforts sustainable. The project has three essential phases: Information, Education, and Communication activities for eco-friendly diving practices; coastal law enforcement training for the sea wardens and strengthening the links among the government agencies; and improving the confidence of the school teachers in teaching environmental education to the youth. Leah: We just read a study about how bad the public image of sharks – what do you tell people who are afraid of sharks? Anna: It helps to bring out statistics -- that there are only about 10 fatal shark attacks a year, while we human beings kill up to 73 million sharks a year. People are always surprised. It also helps to show the tourism potential of sharks. A good example is Donsol, in Bicol. When whale sharks weren't protected yet, it only had a few hundred tourists. When whale shark watching was established, the number ballooned to over 7,000 in a few years. Leah: Shark Defenders is very much about empowering youth. What advice to you have to young people across the globe who want to get involved in protecting sharks? How can we make our voices heard? Anna: According to the World Economic Forum, 50% of the world’s population is under the age of 27. This, for me, means that there is no better time to be alive and young. The collective voice and needs of young people can no longer be ignored, especially with technology and media as great vehicles of empowerment. We can make our voices heard in many, many ways, from writing our government officials to initiating projects to participating in international campaigns like Shark Stanley. Our young age should always be seen as an advantage, not a hindrance. Our willingness to learn makes up for our inexperience.